Hello lovelies! Hope you're all doing well! Tonight I went out to celebrate my friend M's birthday. He chose Universal on Lygon for his birthday dinner. I've eaten here before for another friend's dinner. 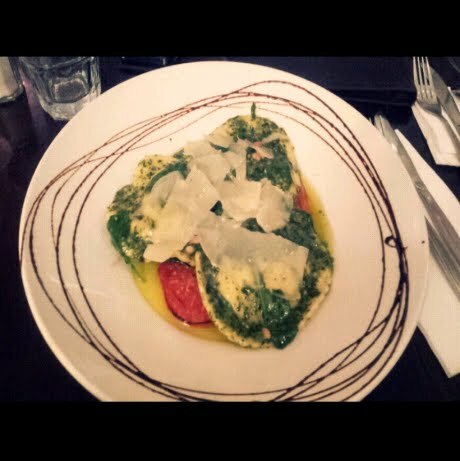 They specialise in Italian food and mains cost around $15-$20 for pasta and $20-$40 for steaks. They also have a 1kg rump steak too if you're super hungry! This was really yummy! I'm a sucker for cheesey pasta so this was perfect for me! It has a pesto sauce on top as well as some spinach and some tomatoes. There is a good amount of olive oil at the bottom but I didn't mind that too much. Dessert was Panna Cotta! I had this the last time I was there and it was just as delicious! They also have things like gelato, tiramisu and chocolate puddings if that's more your style of dessert. My friend H ordered the gelato tasting plate for two. Because he didn't eat it fast enough and because he was a feeling a bit stupid, he decided to shot the melting gelato. Ahh he makes the funniest faces! 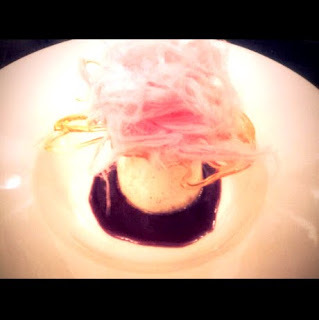 The panna cotta looks absolutely delicious. I've actually never tried that dessert before. Definitely on my to-do list! Online shopping - the deliveries!